This Easy Smoked Salmon Appetizer Recipe begins with flaky puff pastry, topped with cream cheese, smoked salmon, lemon, capers and fresh dill. Perfect for an appetizer or breakfast! Puff pastry is great with sweets. But I love it with savory recipes. 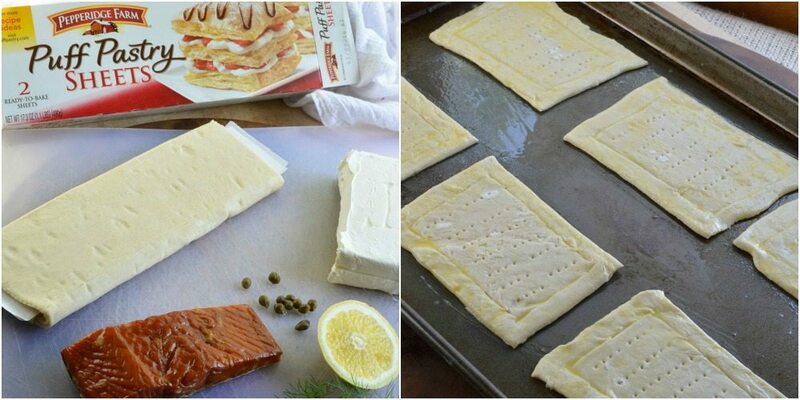 That is what is fantastic about Pepperidge Farm Puff Pastry, it is so versatile. Keep a package handy in your freezer and you can make, breakfast, appetizers, meals or desserts. 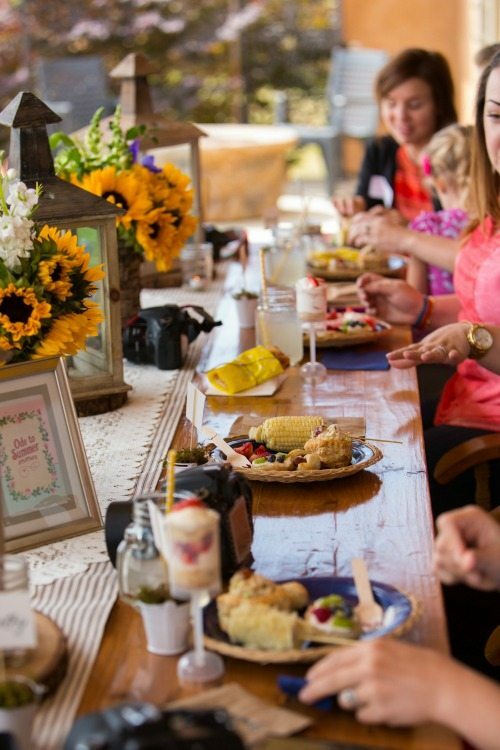 I had the amazing opportunity to attend a fabulous backyard party that featured recipes that used Pepperidge Farm Puff Pastry. (check out the photos below) It was perfect party food because everything was so easy to eat with my hands. I decided to create a puff pastry appetizer inspired by one of my favorite breakfasts. 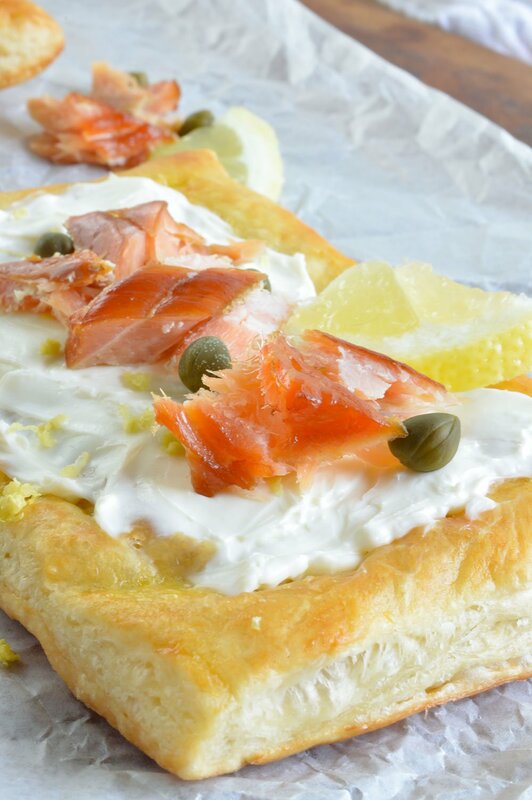 I adore a simple bagel with cream cheese, lox, lemon and capers. 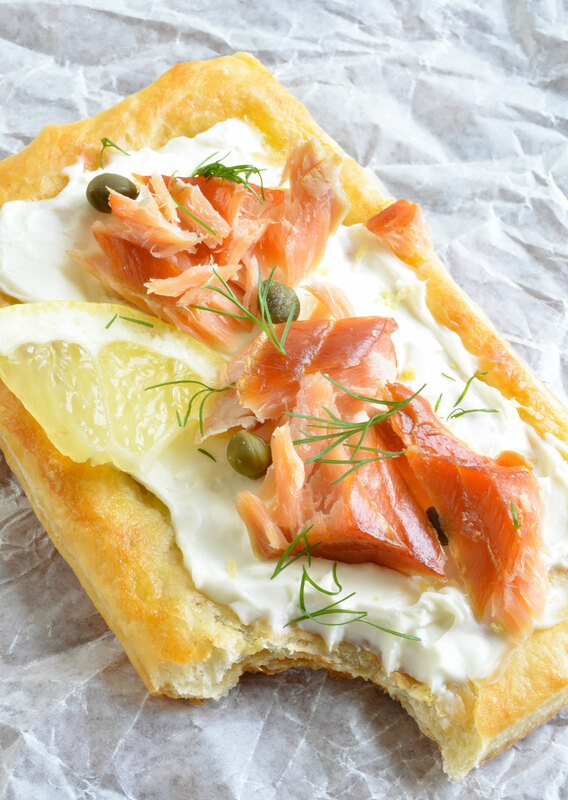 I used puff pastry instead of bagels, swapped the lox for smoked salmon and added fresh dill. Perfect as an appetizer or breakfast! 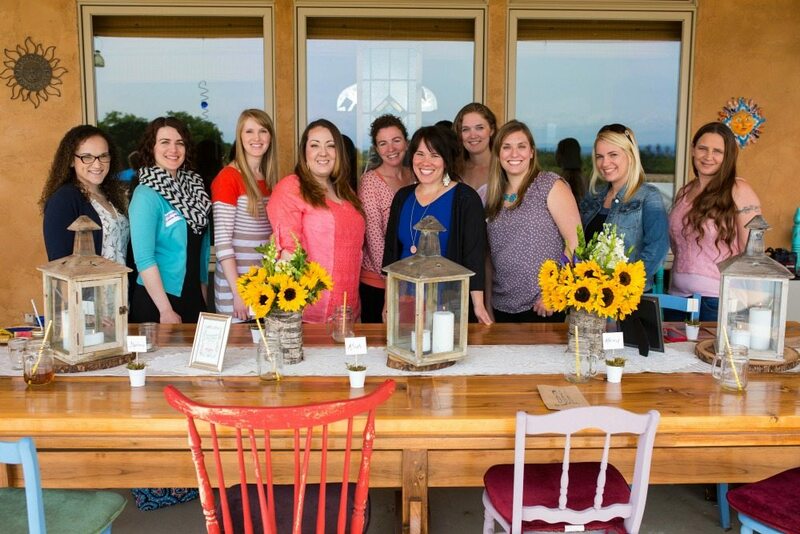 Here is the group of lovely bloggers that I got to spend a morning with. Great conversation, delicious food and a gorgeous home. It was an awesome party! 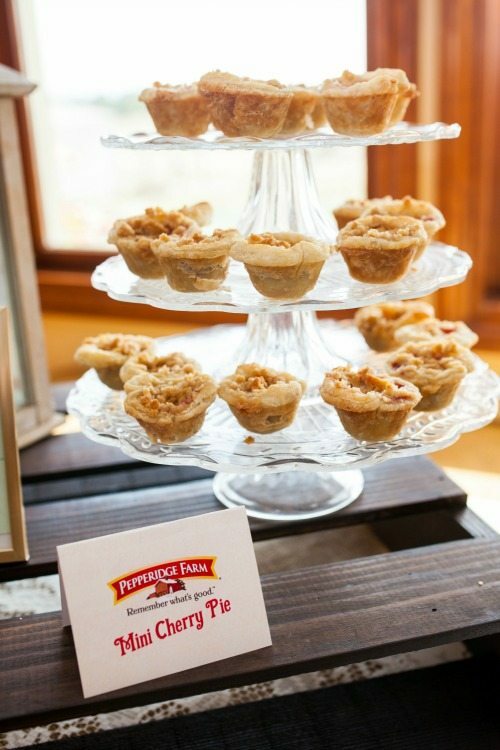 These Mini Cherry Pies were the stand-out for me. I had to keep myself from eating every single one. But trust me, I ate my fair share . . . and then some. I’m always blown away by a gorgeous table setting. Decorating in any way, shape or form is not one of my skills. 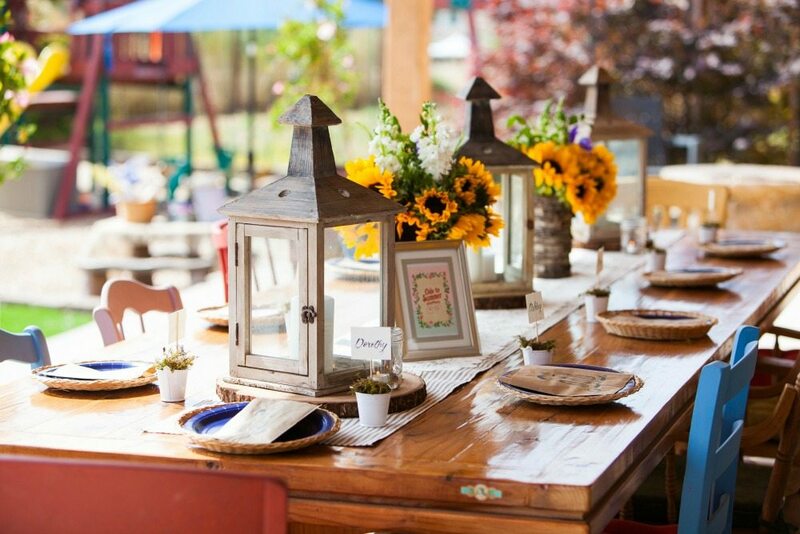 So I am always really impressed when I see a beautifully put together table setting, like the one at this party. The best part of the party was getting to spend time with some fellow bloggers that inspire me. There aren’t any bloggers in my area. So it’s always a treat to get some face-time with those that share my passion. Party photos courtesy of: Leslie Callan from Green Vintage Photography. Unfold puff pastry sheet on lightly floured surface. Using a knife, cut along the seams. Cut each strip in half. Score the pastry rectangles 1/2 inch from the edges. Prick centers with fork. Transfer pastries to lightly greased baking sheet. Beat egg and water. 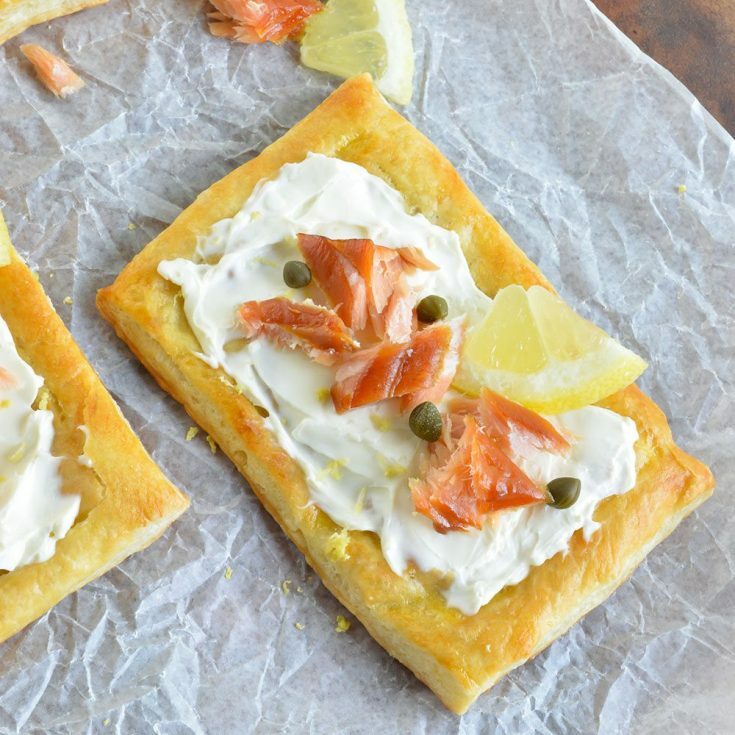 Brush pastries with egg wash.
Top with cream cheese, smoked salmon, capers, lemon zest, dill and a lemon wedge. *Pepperidge Farm Puff Pastry Shells or Cups can be used as well. I agree that puff pastry with savory recipes is fantastic, and you really can’t beat the ease of the Pepperidge Farm puff pastry. I adore smoked salmon in any form, and these appetizers look fantastic! Great flavors and it looks so decadent! Those mini cherry pies were so darn good!! And it was so great to meet you!! Great to meet you, too! I’m craving those cherry pies so bad! Wow, these look amazing! I have some puff pastry in my freezer, and I’m thinking I need to make these this weekend. Thanks for sharing! I have a soft spot for smoked salmon, and these bites are everything I love! What a wonderful idea to put it on the puffed pastry! Thanks Liren! It is so great on puff pastry!